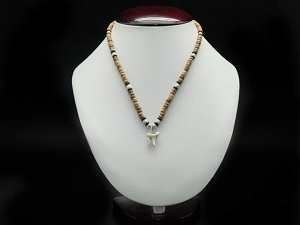 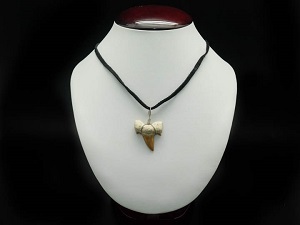 We carry several styles of Fossil Shark Tooth Necklaces. 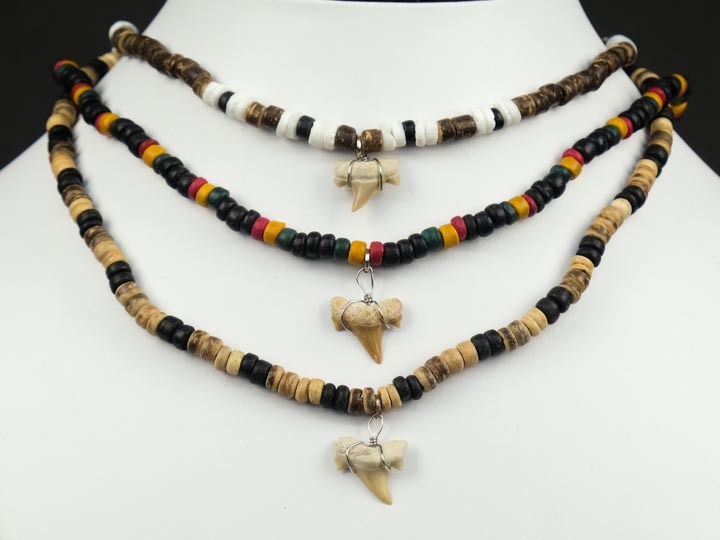 These cannot be exported outside of the United States. 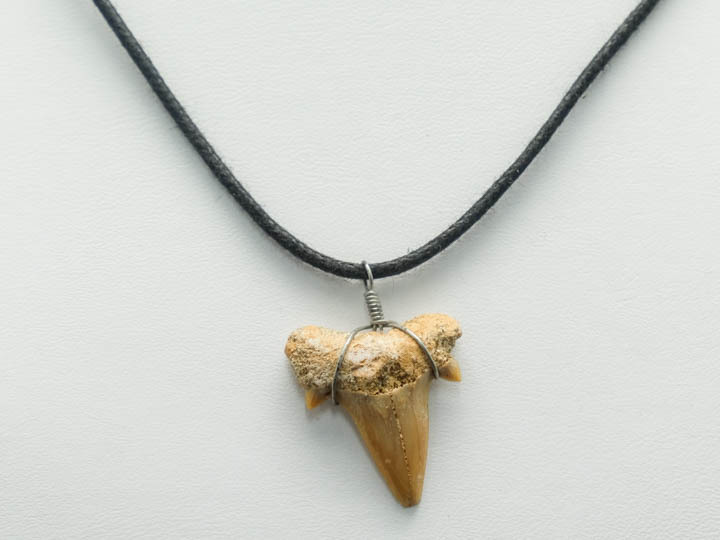 Made in the USA using Moroccan fossils. 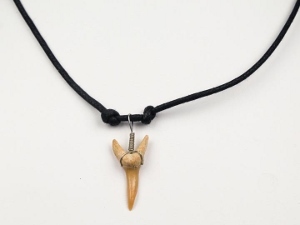 This is a wire wrapped 0.75" Moroccan fossil shark tooth necklace with an adjustable 16" to 24" black wax cord. 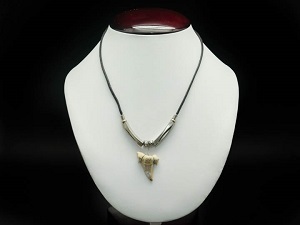 Genus and species of the shark is unknown. 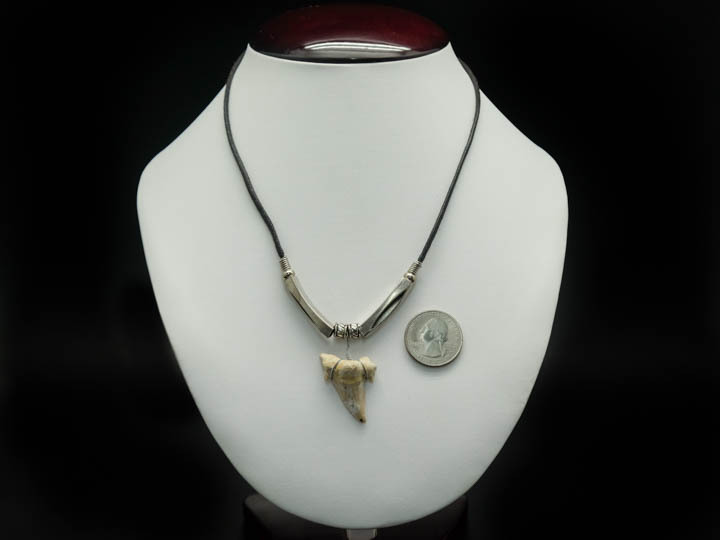 It weighs about one gram. 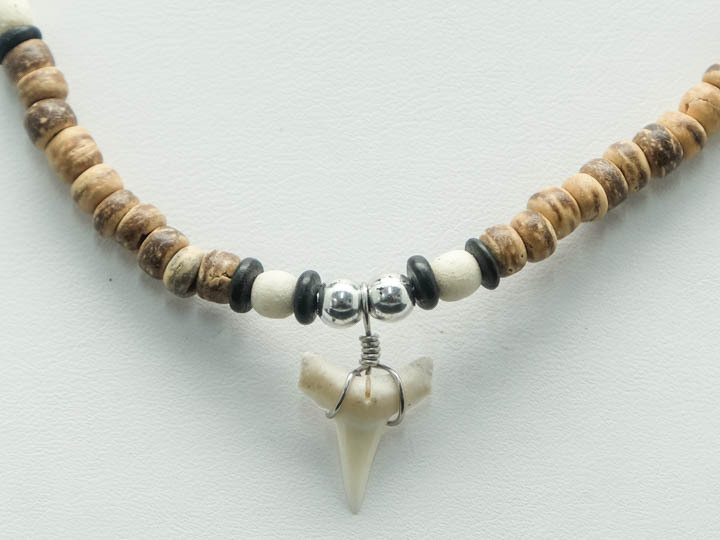 These 1" Moroccan Otodus fossil shark tooth necklaces come with silver beads and have a hook fastener. 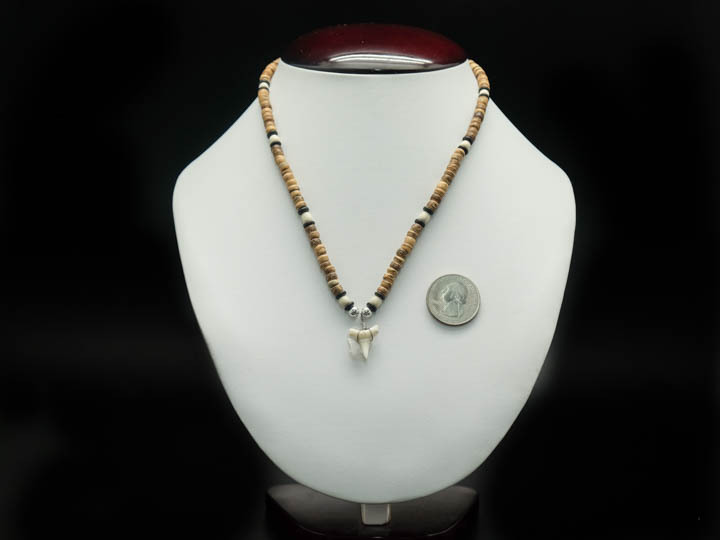 These 1" Moroccan Otodus fossil shark tooth necklaces come with assorted wooden beads in assorted colors and patterns all the way around. 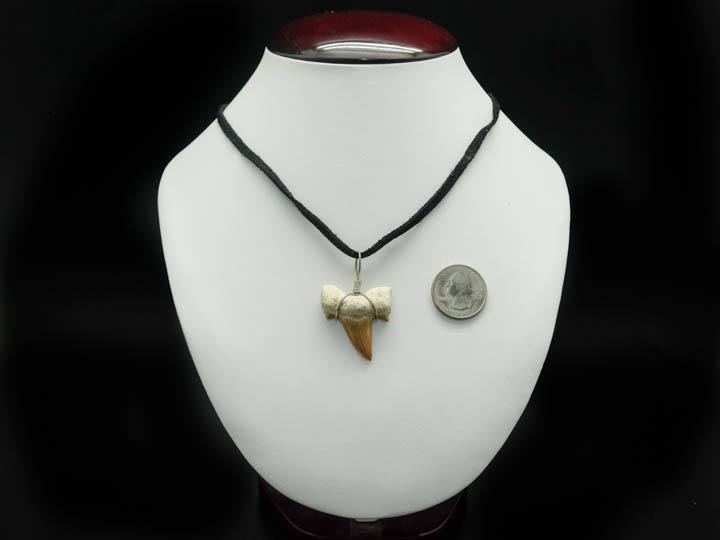 They have a twist fastener. 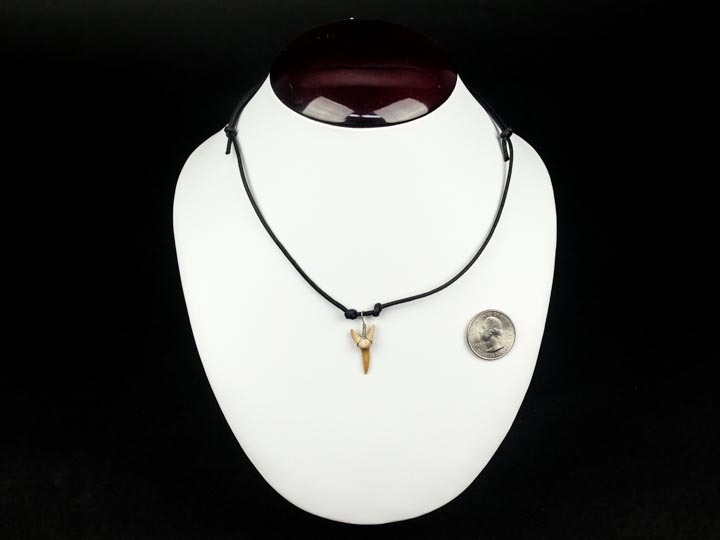 The pictures to the right show the range of styles available. 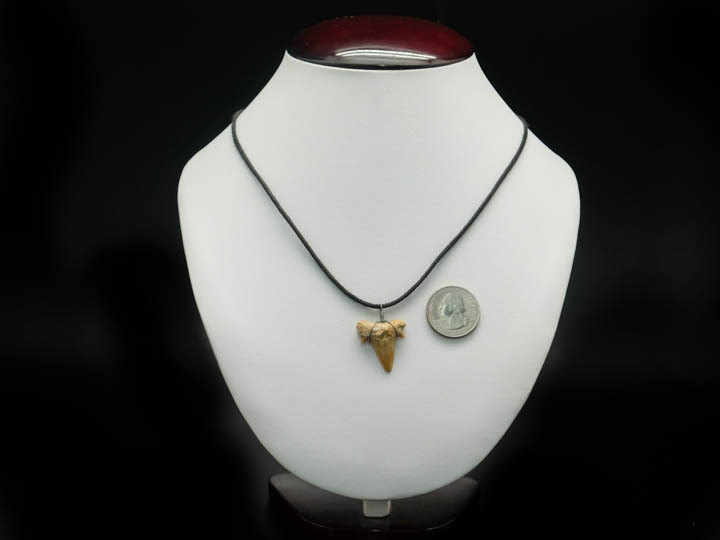 A 1" Moroccan Otodus fossil shark tooth hangs on a non-adjustable cord. 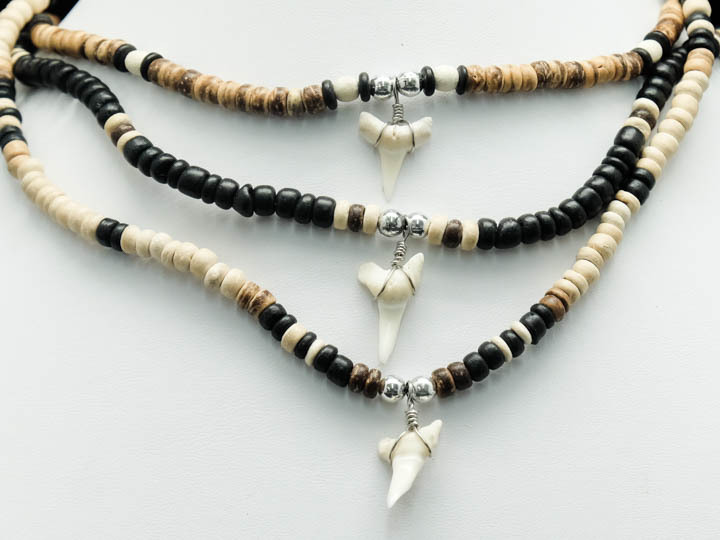 These 1" Moroccan Otodus fossil shark tooth necklaces come with assorted wooden beads in assorted colors and patterns all the way around. 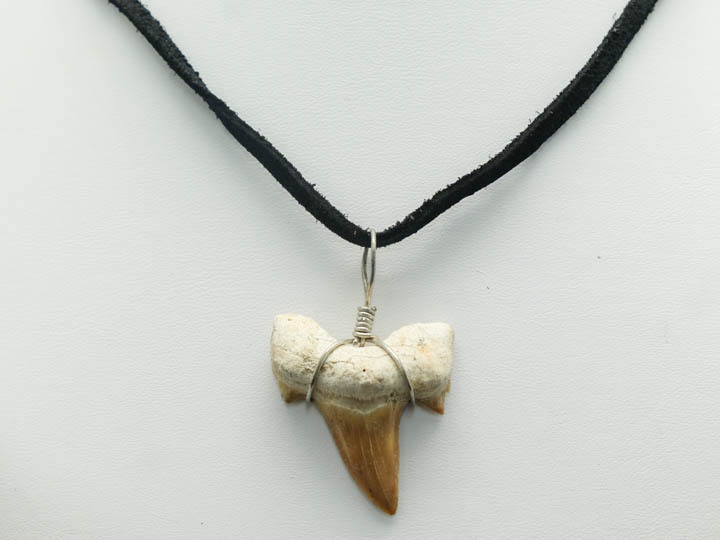 The fossil tooth is black or gray. 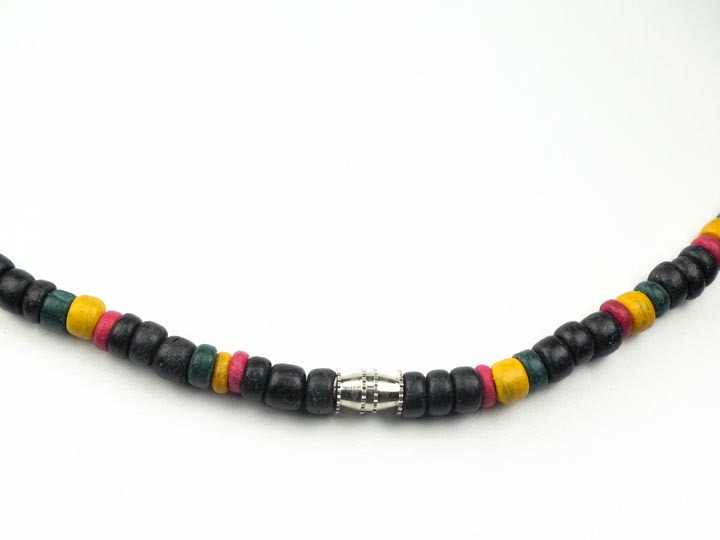 They have a twist fastener. 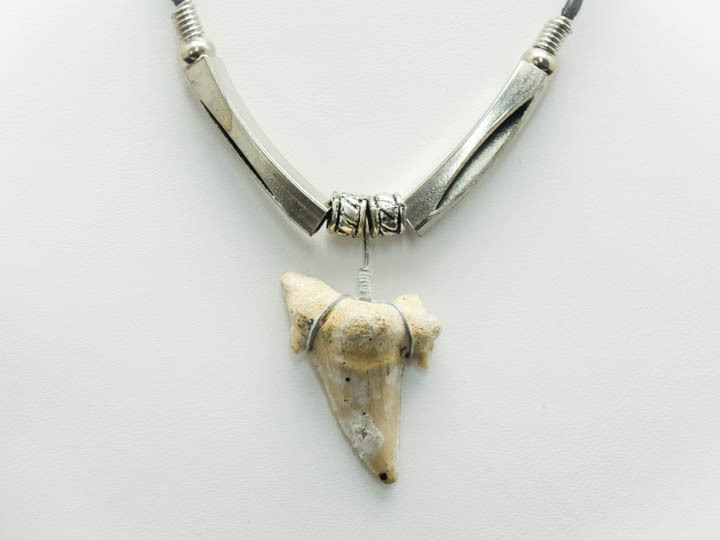 This has a narrower tooth than R-282-2. 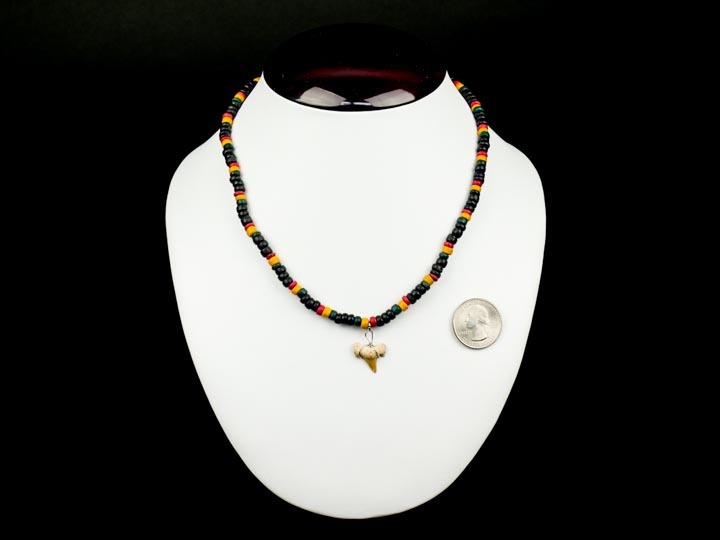 This is a plain 1" Moroccan Otodus fossil shark tooth necklace with a black suede cord and no beads. 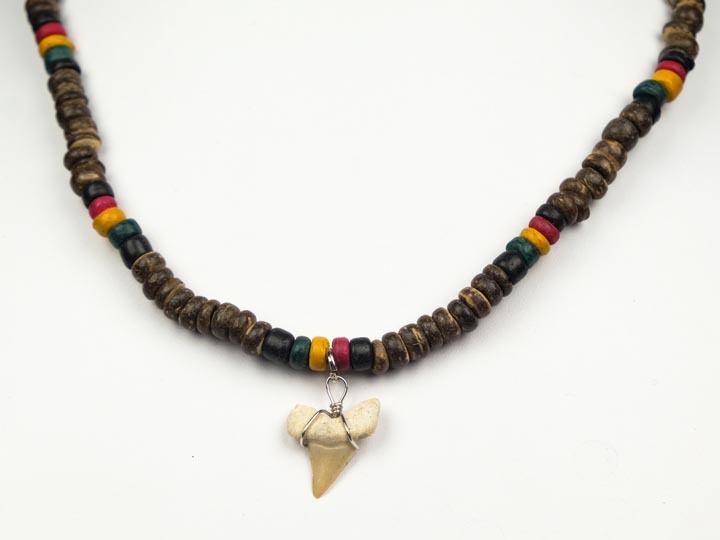 It has a hook fastener.